Orchha is a medieval city. It was founded by Bundela Rajput chief called Rudra Pratap who selected this tract of land along the Betwa River as a site for his capital. 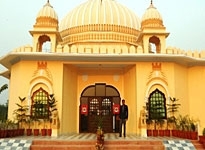 Today the ancient glory of this place is translated through several age old palaces and temples erected by Bundela rulers in 16th and 17th centuries. Today a whopping number of travelers visit this part of India to explore the exquisite beauty of the intricate art works of paintings and carvings in the sky high temple spires and cenotaphs. The business travelers are also not lagging behind in traveling to this city on a regular basis. To encourage the ones who have already been to this city and the ones still making plans to give maiden visit to this city numerous hotels in Orchha have been opened. The Orchha hotels are ideally segregated into diverse types, such as heritage hotels, first class hotels and budget hotels. All these different kinds of accommodations in Orchha offer different style of staying options. The heritage hotels in Orchha are best known for featuring traditional style of guestrooms marked with modern elements. These hotels are the prefect venues to bask in the past glory and enjoy contemporary comforts. These hotels invite both the business and pleasure travelers. Their elegantly appointed onsite restaurants & bars, extensive range of business facilities, refreshing recreational opportunities and refined array of additional facilities make for extra ordinary experience of stay in Orchha. 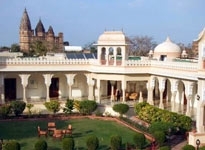 The first class hotels in Orchha are reputed to be the most competent modern style service providers. These Orchha hotels feature contemporary elements. Everything about them is innovative and novel. These hotels offer stylish guestrooms, exquisite onsite restaurants & bars, expedient meeting venues, excellent recreational opportunities and last but not the least a fine range of supplementary facilities. 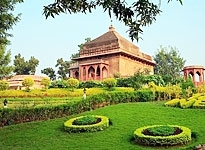 The budget accommodations in Orchha are also available. These Orchha hotels are mostly chosen by the travelers who seek to enjoy maximum comforts in lesser rates. These hotels also cover the needs and requirements of both the business and pleasure guests. The only difference between the above two and this category of hotels is that budget hotels do not encourage lavishness.